Thanks to a combination of Asian and European influences, Hong Kong is a whimsical melting pot of grand colonial buildings, buzzing street markets and futuristic skyscrapers. The city's two major cruise terminals are located on Kowloon Peninsula; one is Ocean Terminal near Harbour City and the other is the newly unveiled Kai Tak Cruise Terminal in Kowloon Bay. There is also a third but more industrial terminal, China Merchants Wharf, on the west side of Hong Kong Island. 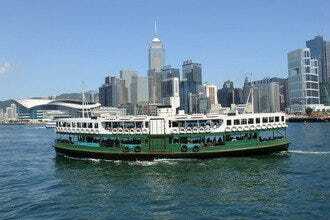 The best area for cruise passengers to explore is around Nathan Road from Tsim Sha Tsui to Mongkok, which stretches approximately 3.5 kilometers. All the top attractions are in the vicinity. 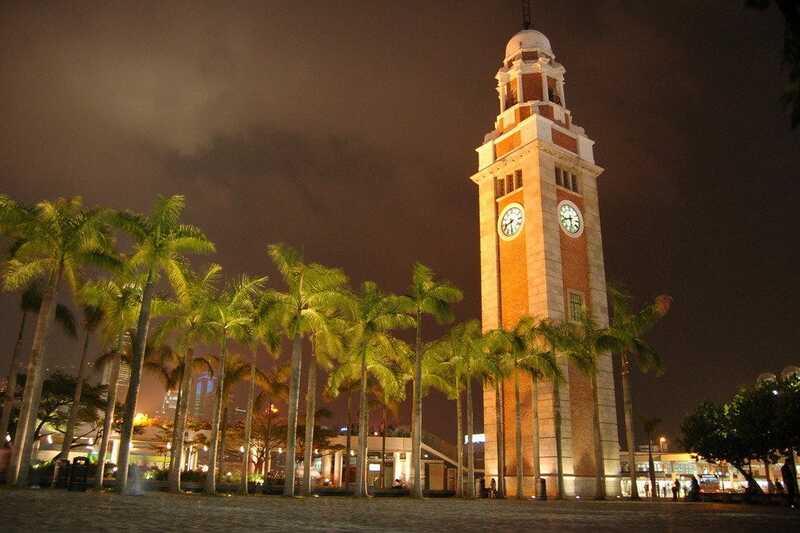 Skyscraper fans can head to the Tsim Sha Tsui Promenade where they will find an unbeatable harbor view accompanied by the celebrity-studded walkway Avenue of Stars, historic landmark Clock Tower and two of the city's top museums, Hong Kong Space Museum and Hong Kong Museum of Art. 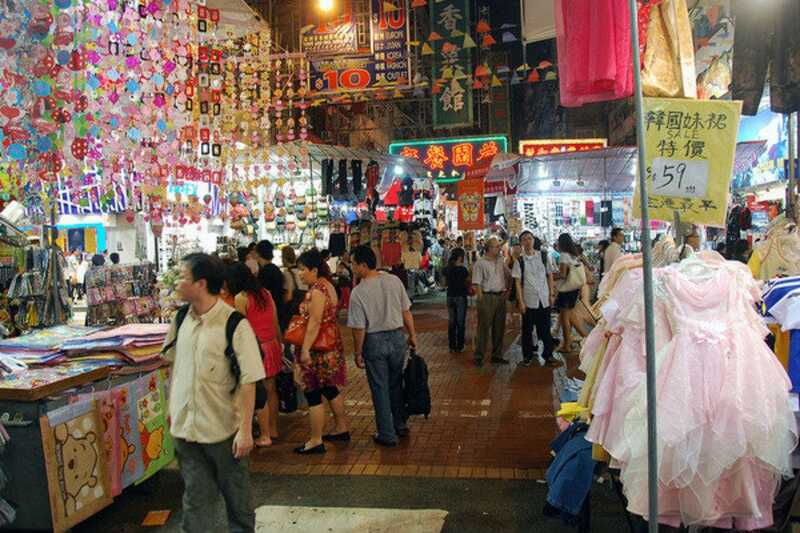 The best hangout for souvenir hunters is Mongkok, which is home to around half a dozen of street markets, from the comprehensive Ladies Market to the curious Goldfish Market, and numerous street-side stalls. For family visitors, Tsim Sha Tsui East houses two top-notch museums, Hong Kong Science Museum and Hong Kong Museum of History. 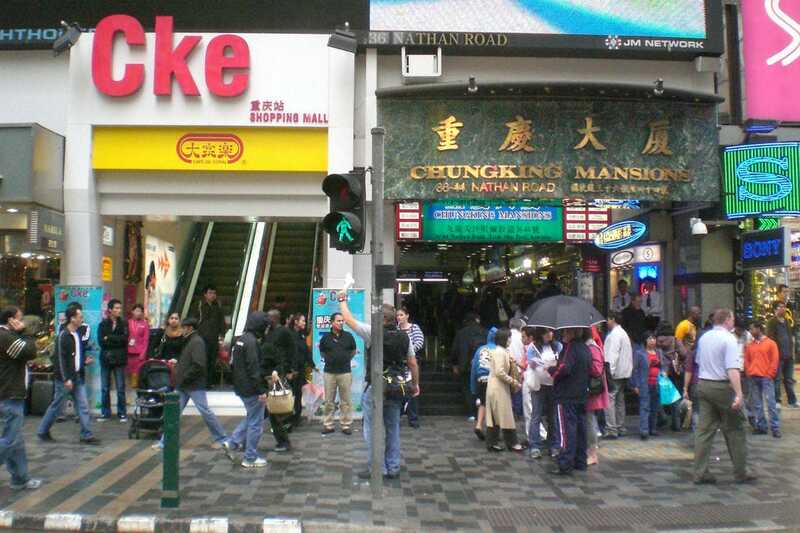 Tung Choi Street is Hong Kong's street shopping center. Not far from the Ladies Market in the north lies a treasure island that's uniquely Chinese, the Goldfish Market. This fascinating market is a great place for families to visit. Bags after bags of live goldfish in different sizes and colors can intrigue even the naughtiest kids. 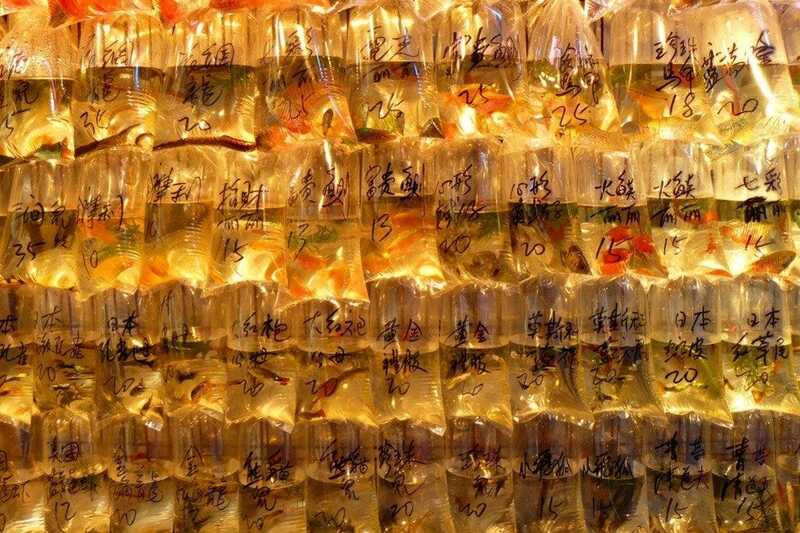 These are sold as pets, as the Chinese consider gold fish a sign of good luck and some of the rarer species in the market can fetch great prices. Besides the kaleidoscope-like display of eye-popped goldfish, the market also sells other small pets including turtles, rabbit and hamsters. Situated on the "Golden Mile" of Nathan Road (the southern-most mile of the thoroughfare until it reaches harbor-side Salisbury Road), Chung King Mansions is an alternative landmark to witness the city's extending heritage as a colony and crucial trading port. The 17-story block is the ground zero of cheap hostels (with more than 80 budget accommodations crammed inside), together with chaos and eye-opening globalization. The bottom two floors of the building house a variety of stores. This is the most multi-cultural part of the city and otherwise very much homogeneous China. The majority of the residents and shop owners are immigrants from all parts of Asia and Africa and most hostel guests are young backpackers from Europe, North America and Oceania. This two-story museum is a great place to hit for anyone wishing to understand Hong Kong's past and present under half a day. The city's history has taken dramatic twists and turns and this museum offers detailed displays that take you through every aspect, beginning in Neolithic times and running right up to today. The bulk of the tour is the permanent exhibition "The Hong Kong Story," which is made up of eight galleries and more than 4,000 exhibits. Through an audio guide (in Cantonese, Mandarin, English and Japanese) and vivid replica of old-school shops, such as a 19th century Traditional Chinese Medicine store in Central, the exhibition depicts the development of Hong Kong from when it was merely a fishing village to when China took it over from Britain in 1997. A quirky landmark on the Tsim Sha Tsui Promenade, this 8,000-square-meter waterside museum, situated inside an egg-shaped dome, delves into the fascinating topics related to astronomy and space science. The Stanley Ho Space Theater in the Hall of Astronomy features mind-boggling Omnimax shows on an immense screen that wraps the audience in 360 degrees of celestial panorama. According to the museum, this is the first Omnimax film projector in the Eastern Hemisphere. You'll find hands-on exhibits and installations that let you ride a virtual para-glider or feel what it's like to walk on the moon while learning about the history of astronomy. 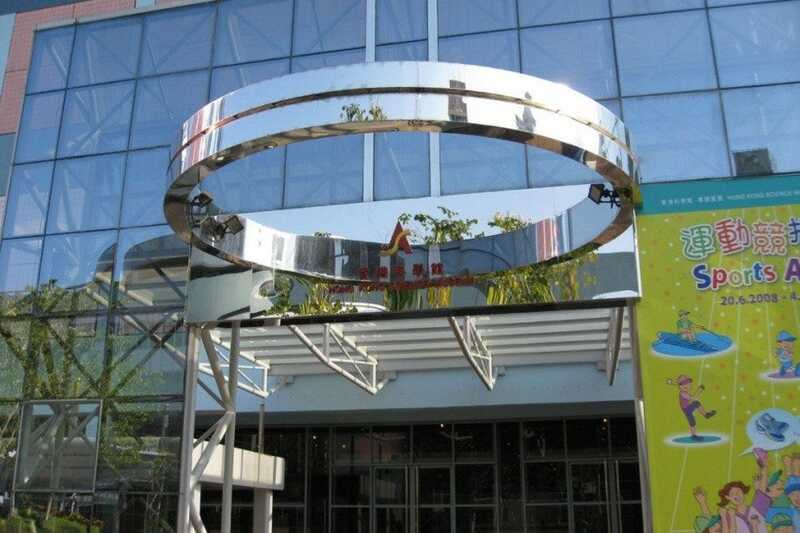 Situated in Tsim Sha Tsui East, this informative museum will tire you after a half-day visit as some 70 percent of the exhibits at this 6,500-square-meter museum are interactive. More than 500 items spread across four floors exploring topics such as geography, robotics, transportation, magnetism, and quantum physics. Visitors can get involved by walking through a rotating room, or speaking into a parabolic disk to a friend across the room. 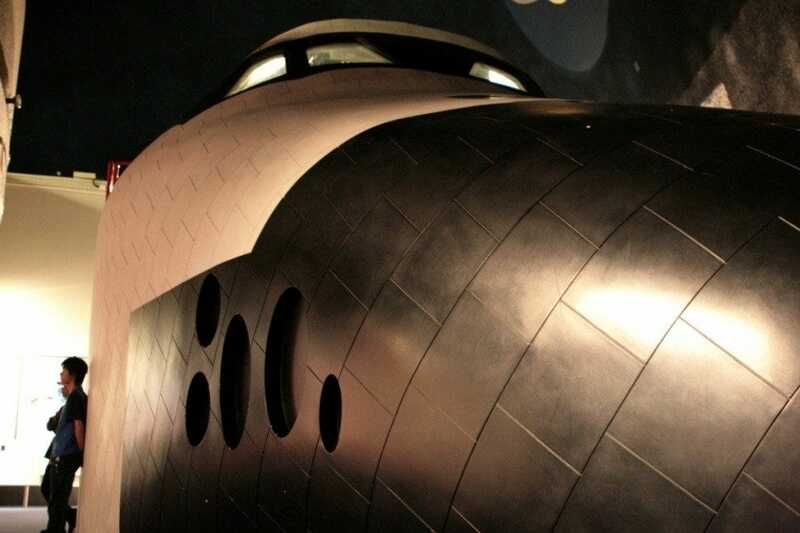 The star item of the museum is the Energy Machine, which is billed as the largest of its kind in the world. This 22-meter-high twin-tower transforms potential energy into kinetic energy. There are special sections designed for younger children. The 44-meter-tall brick-red structure is one of the most historic buildings in fast-growing Hong Kong. Although visitors can't access the building nowadays, it's a mandatory pit stop for tourists en route from the Star Ferry terminal to Tsim Sha Tsui Promenade to take in the contrast between now and then. Hong Kong's very own "Big Ben" is the only remaining structure of the now-demolished Kowloon-Canton Rail Terminus. This was the original railway to have connected Hong Kong with mainland China. Millions of mainland Chinese immigrated to Hong Kong through here between 1910-1949 before the Communist China shut its door to the outside world for the next 30 years. The railway station has since been relocated to Hunghom. Occupying three blocks of Tung Choi Street every night, this enclave of more than 100 stalls represents the epitome of Asia's market culture: a bit crowded, a lot noisy but totally stimulating. Unlike what its name suggests, the 1,000-meter-long market sells a wide selection of clothes, shoes and travel souvenirs, from US$5 sandals to Chinese necklace pendants to the "I Love Hong Kong" T-shirts. Although it's been running for about three decades, this government-licensed street market is still set up from scratch every day. Vendors put up their stalls at noon and pull them down when the market closes around midnight. Best time to go is after 7pm when tourists and merchants are at their optimal size. Nearest metro station is Mongkok via exit E2. 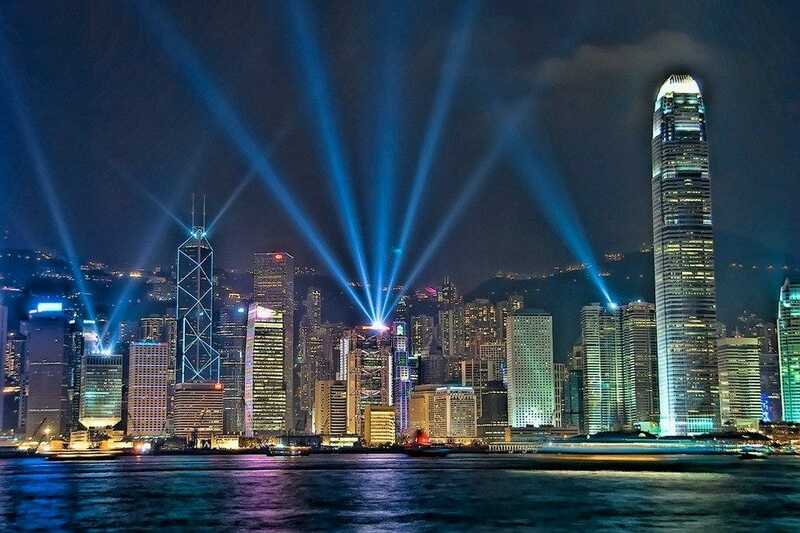 The 15-minute light and sound show is the top free activity in Hong Kong. Every night at 8pm, spectacular decoration lights, laser lights and digital fireworks shoot out from 45 buildings along the Victoria Harbour on both the Hong Kong Island and Kowloon side. The US$5.7 million project was dubbed by Guinness Word Records as the "World's largest permanent light and sound show." All lights are controlled and displayed as a visual reflection of the eponymous music symphony which is broadcast at the name time. The best places to enjoy the show is around the Avenue of Stars on Tsim Sha Tsui Promenade, the Golden Bauhinia Square in Wai Chai or, better yet, from any cruise boat on the harbor. 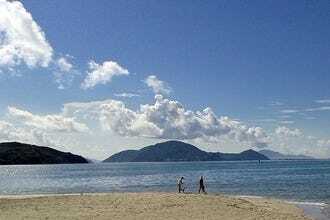 Star Ferry is the loveliest attraction in Hong Kong. This 115-year-old service is one of these rare attractions that are hailed by both tourists and locals. 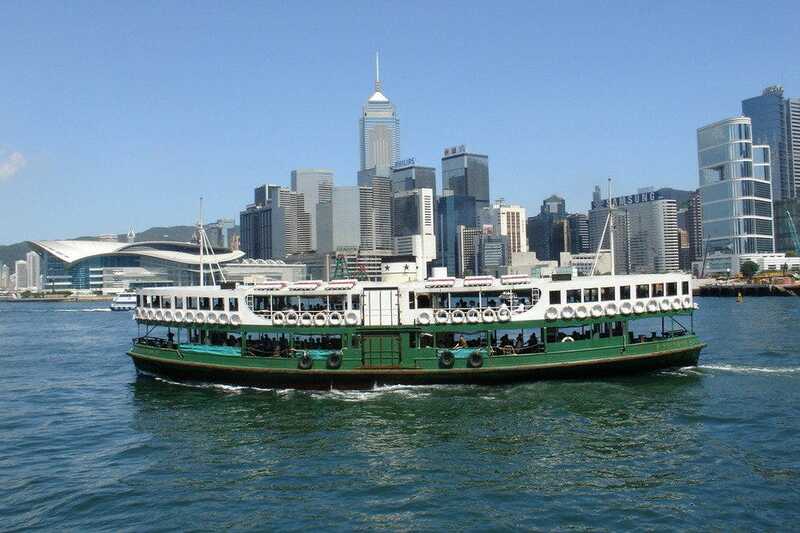 Shuttling between Tsim Sha Tsui on Kowloon side, and Central and Wan Chai on Hong Kong island, these 10-minute boat rides represent a lifestyle of the past: slow, soothing and stress-free. That's exactly where the excitement and enjoyment lies. It's fascinating to see the hyper-busy city from these boats: century-old colonial buildings rub shoulders with glass-walled skyscrapers on the two jam-packed waterfronts. Even with the subway efficiently connecting Kowloon and Central, locals still choose to ride the Star Ferry now and then for that classic Hong Kong moment. And a one-way trip is small change, whatever the currency.